Before diving deep into PostgreSQL to Snowflake data migration steps, let me walk give you a brief introduction about Snowflake. As you might have heard, Snowflake is an analytic data warehouse on the cloud. It is offered as a true Software-as-a-Service (SaaS) – no hardware to configure, no software to install, no maintenance. Snowflake’s architecture is defined newly from scratch, not an extension of the existing Big Data framework like Hadoop. Snowflake has a hybrid of the traditional shared-disk database and modern shared-nothing database architectures. It uses a central repository for persisted data that is accessible from all compute nodes in the data warehouse and processes queries using MPP (massively parallel processing) compute clusters where each node in the cluster stores a portion of the data set. Snowflake processes using “virtual warehouses” which is an MPP compute cluster composed of multiple compute nodes. All components of Snowflake’s service run in a public cloud like AWS. Snowflake data warehouse is considered as a cost-effective high performing analytical solution and is used by many organizations for critical workloads. In this post, we will discuss how to move real-time data from PostgreSQL to Snowflake. There are two popular methods to perform PostgreSQL to Snowflake ETL. Method 1: A ready to use Hevo, Official Snowflake ETL Partner (7 Days Free Trial). Method 2: Write a Custom Code to move data from PostgreSQL to Snowflake. COPY TO command is the most popular and efficient method to extract data from the PostgreSQL table to a file. We can also use pg_dump utility for the first time full data extraction. We will have a look at both methods. COPY table or sql_query TO out_file_name WITH options. FORMAT – Format of the data to be written are text, CSV or binary (default is text). ESCAPE – The character that should appear before a data character that matches the QUOTE value. NULL – Represents the string that is a null value. The default is \N (backslash-N) in text and an unquoted empty string in CSV. ENCODING – Encoding of the output file. The default value is the current client encoding. HEADER – If it set, on the output file, the first line contains the column names from the table. QUOTE – The quoting character to be used when a data is quoted. The default is double-quote(“). DELIMITER – The character that separates columns within each line of the file. Next, we can have a look at how COPY command can be used to extract data from multiple tables using a PL/PgSQL procedure. Here, the table named tables_to_extract contains details of tables to be exported. Sometimes you want to extract data incrementally. To do that, add more metadata like the timestamp of last data extraction to the table tables_to_extract and use that information while creating copy command to extract data changed after that timestamp. Here a dynamic SQL is created with predicate comparing last_modified_time_stamp from the table to be extracted and last_pull_time from table list_of_tables. As mentioned above, pg_dump is the utility for backing up a PostgreSQL database or tables. It can be used to extract data from the tables also. This output has to be converted into a CSV file with the help of a small script in your favorites like Bash or Python. There will be domain specific logic to be applied while transferring data. Apart from that following things to be noted while migrating data to avoid surprises. Snowflake out of box support number of character sets including UTF-8. Check out the full list of encodings. Unlike many other cloud analytical solutions, Snowflake supports SQL constraints like UNIQUE, PRIMARY KEY, FOREIGN KEY, NOT NULL constraints. Snowflake by default has a rich set of data types. Below is the list of Snowflake data types and corresponding PostgreSQL types. Snowflake allows almost all of the date/time format. Format it can be explicitly specified while loading data to the table using File Format Option which we will discuss this in detail later. The complete list of supported date/time formats can be found. Before inserting the data into a Snowflake table it needs to be uploaded to a temporary location which is called staging. There are two types of stages – internal and external. Each user and table is automatically allocated an internal stage for data files. It is also possible to create named internal stages. The user named and accessed as ‘@~’. The name of a table stage will be the same as that of the table. The user or table stages can’t be altered or dropped. The user or table stages do not support setting file format options. As mentioned above, Internal Named Stages can be created by the user using the respective SQL statements. It provides a lot of flexibility while loading data by giving options to you to assign file format and other options to named stages. While running DDL and commands like load data, SnowSQL is quite handy CLI client which can be used to run those commands and is available in Linux/Mac/Windows. Read more about the tool and options. Upload a file named cnt_data.csv in the /tmp/postgres_data/data/ directory to an internal stage named postgres_stage. There are many useful options which can be helpful to improve performance like set parallelism while uploading the file, automatic compression of data files etc. More information about those options is listed here. Amazon S3 and Microsoft Azure are external staging location currently supported by Snowflake. We can create an external stage with any of those locations and load data to a Snowflake table. To create an external stage on S3, IAM credentials have to be given. If the data is encrypted, then encryption keys should also be given. Data to the external stage can be uploaded using AWS or Azure web interfaces. For S3 you can upload using AWS web console or any AWS SDK or third-party tools. 4. Copy staged files from PostgreSQL to Snowflake table. COPY INTO is the command used to load the contents of the staged file(s) into a Snowflake table. To execute the command compute resources in the form of virtual warehouses are needed. You know more about it this command in the Snowflake ETL best practices. Loading from the external stage. Only one file is specified. Files can be specified using patterns. COMPRESSION – Compression algorithm used for the input data files. 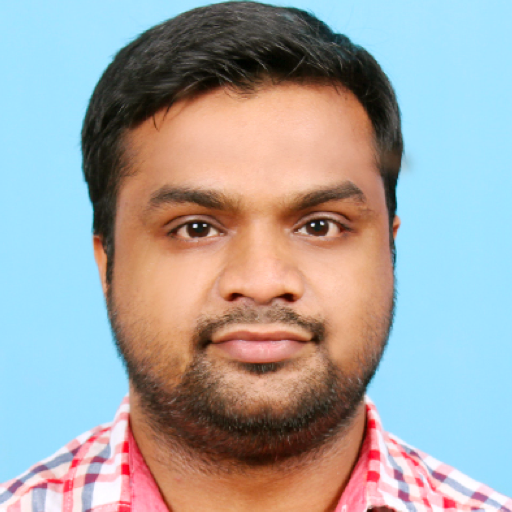 RECORD_DELIMITER – Records or lines separator character in an input CSV file. FIELD_DELIMITER – Character separating fields in the input file. SKIP_HEADER – How many header lines to be skipped. DATE_FORMAT – To specify the date format. TIME_FORMAT – To specify the time format. Check out the full list of options. We have discussed how to extract data incrementally from PostgreSQL. Now we will look at how to migrate PostgreSQL data into Snowflake effectively. As we discussed in the introduction, Snowflake is not based on any big data framework and do not have any limitations for row-level updates like in systems like Hive. It supports row-level updates makes delta data migration much easier. Basic idea is to load incrementally extracted data into an intermediate table and modify records in final table as per data in the intermediate table. There are three popular methods to modify the final table once data is loaded into the intermediate table. Update the rows in the final table and insert new rows from the intermediate table which are not in the final table. Delete all records from the final table which are in the intermediate table. Then insert all rows from the intermediate table to the final table. MERGE statement – Inserts and updates can be done with a single MERGE statement and it can be used to apply changes in the intermediate table to the final table with one SQL statement. Using Hevo, official Snowflake ETL partner you can easily load data from PostgreSQL to Snowflake with just 3 simple steps. This does not need you to write any code and will provide you with an error-free, fully managed set up to move data in minutes. Configure the Snowflake destination where it should be copied. High performing Data Warehouse solutions like Snowflake are getting more adoption and are becoming an integral part of a modern analytics pipeline. Migrating data from various data sources to this kind of cloud-native solution requires expertise in the cloud, data security and many other things like metadata management. There are data pipeline or ETL platforms with in-built intelligence to take care of all aspects of data movement including security which might be a better choice most of the time – so that you can concentrate on your business. 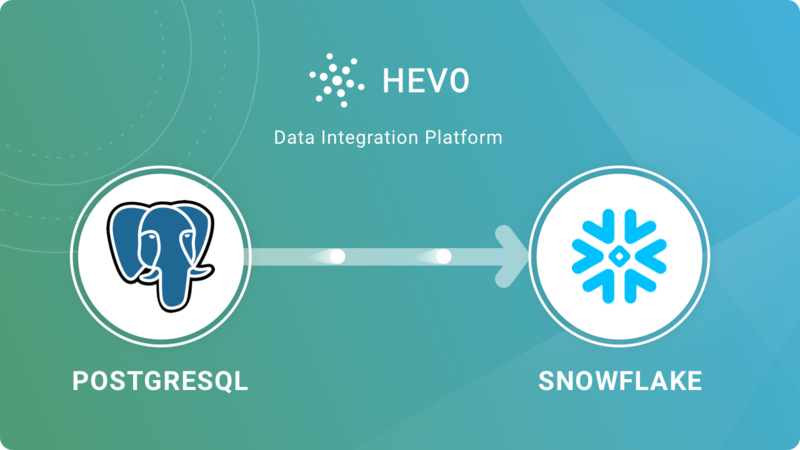 Sign up for a free trial on Hevo to create your safe and fast PostgreSQL to Snowflake data pipeline.